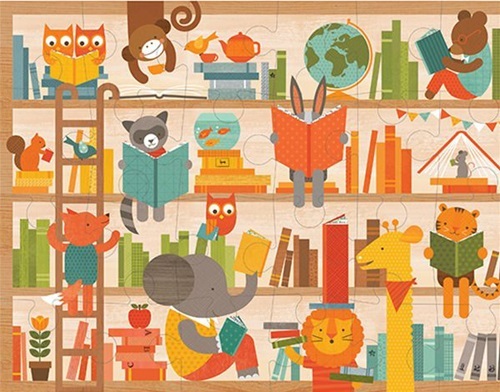 Once little hands have mastered beginner puzzles, they're ready to dig into floor puzzles. These large, sturdy 24-piece puzzles are just challenging enough, and Petit Collage's signature, cheerful artwork brings big smiles (and plenty of story-telling opportunities). 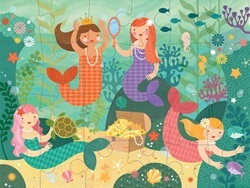 These puzzles are packaged in sturdy cardboard boxes with a soft cotton rope handle: ready-to-gift, or easy to carry suitcase-style to Grandma's house!